Ada County Highway District (ACHD) appealed the district court’s grant of summary judgment to Terrie Rowley. 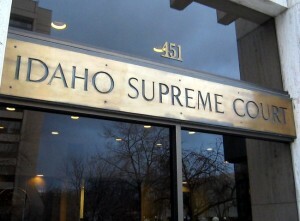 This case arose from a dispute in the ownership of a ten-foot-wide walkway in a Boise subdivision and arose after Rowley sought an injunction to remove a shed her neighbor placed on that walkway. The district court held that: (1) the subdivision plats showed the original developers clearly and unequivocally dedicated the walkway to the public; and (2) ACHD owned the walkway. ACHD appealed, arguing no evidence in the record showed the original developers clearly and unequivocally intended a public dedication and no statutory provision authorized ACHD to own the walkway. Rowley contended that the original developers clearly intended a public dedication as the walkway was a public street’s corridor extension. 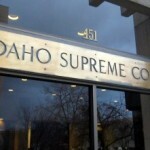 Upon review of the facts in record, the Supreme Court agreed with ACHD’s argument, finding that the district court erred in holding the subdivision’s original owners demonstrated clear and unequivocal intent to dedicate the walkway to the public. The Court vacated the district court’s judgment and remanded the case for entry of judgment in favor of ACHD.